•Passwords or contact information changes including your password, email address and phone number, go to the Registration Data section of your profile. • On the listing page, and on the agent profile page, click on the “Is this you? Claim your account” link. Realty Sage will send an email to the email address associated with the listing. That email will contain a link to create a password for your account. After claiming your account, you can edit your professional profile and listings. • Realty Sage highly recommends updating your profile and editing listings to take advantage of the additional information and searching capabilities of the site and ensuring your listings reflect the most applicable livability categories and Sage Score. • Click here to have a temporary password sent to the email associated with your account. • We accept PayPal and all major credit cards through PayPal. Participate in Realty Sage Pros, as an agent. Be part of the data-driven agent-matching platform with no obligations, no upfront payments for leads and our guarantee if leads don’t work out. Our matching service will help you find a real estate agent in your area, based on your unique real estate needs. It’s completely free of any obligation, contracts, or customer fees. By answering just a few questions, you’ll be matched to a maximum of 3 of the top agents in your area. Your Sage Score is directly related to the quantity and value of the features for your property listing. The moredetails you provide, which helps to market your property listing, the greater the opportunity for your Sage Score to increase. Once you’ve logged into your account, go to “My Listings” and select the listing you’d like to edit. Click on the pencil icon near the listing. Under the “Features & Details” tab, confirm auto-populated information and add additional property details. Once you’ve logged into your account, go to “My Listings” and select the listing you’d like to purchase marketing materials. Click on the dollar sign ($) icon near the listing and then select the Marketing Materials package. When you type in the property address, Realty Sage will attempt to auto-populate any known public information about the property. In the following sections, please confirm any auto-populated information. The “Features and Details” page, you’ll notice a number value next to each section where fields have been selected. Expand those sections to confirm the details and to add more information. The more details you provide about the listing, the greater chance that your listing’s Sage Score will increase. *If your property’s address is not recognized, continue on to each section and add details and photos manually. In your profile, go to the Subscriptions section. By unselecting the Receive Email box you will be removed from automated emails. • Click on the "Agent/professional" text in the "Switch Profile" field. 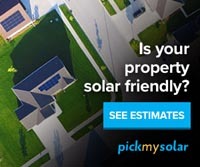 If you are a real estate agent and are currently registered as an Individual, but you'd like to participate in RealtySagePros.com customer lead matching services, you will need to change your profile account to "Agent"
• Go to the Deactivate Profile section and select a reason and provide a few comments. We'd appreciate the feedback. Change Account Type; Agent or Individual. 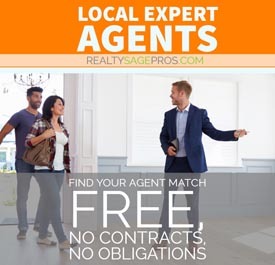 We have 3 profile options; agents with a profile only on realtysage.com, agents with their profiles also on realtysagepros.com where they participate in agent-customer matching, and individual profiles. Learn more about the profile options.